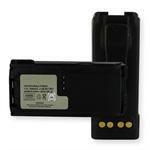 HNN8294h : 7.5 volt 2100mAh Ni-MH battery for Motorola XTS3000, XTS3500, XTS4250, XTS5000 radios. Includes heavy-duty Belt Clip. Replaces NTN8923, NTN8294, NTN9858, RNN4006, etc. 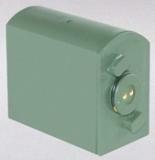 Part # BA5588A/U : 15 volt 3500mAh battery for Military applications. Fits PRC-68, PRC-128, PRC-136 survival radios. BA5590/U : 12 volt & 24 volt switchable Lithium (Li-SO2) battery for the AN/PRC-104, AN/PRC-113, AN/PRC-117, AN/PRC-119 Singcars, KY-57, KY-65 encryption, REMBASS battlefield surveillance, PLRS, RT-991, RT-1175, AN/TAS-4A TOW, etc. 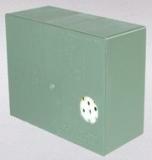 BA5112/U : 11.8 volt 2000mAh Lithium battery for AN/PRC112 survival radio. 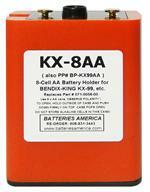 BA5598/U : 14.4 volt 8000mAh LONG LIFE Lithium battery for PRC-25, PRC-77, PRC-1077, PRC-1099 radios.